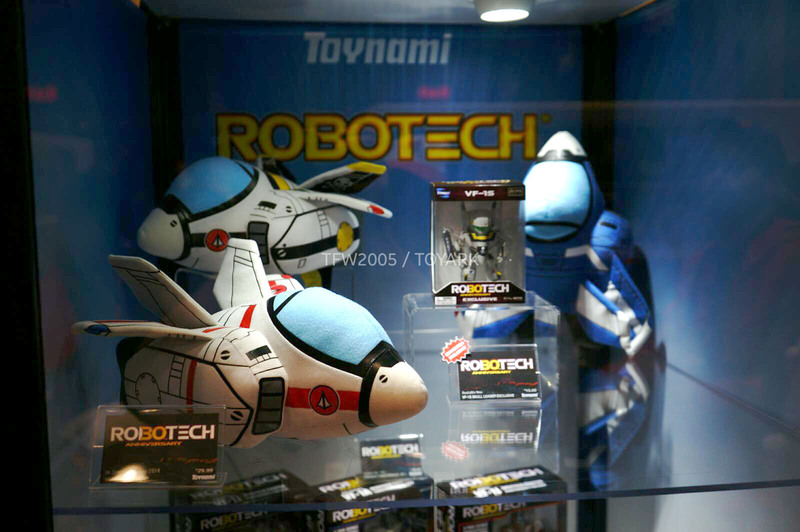 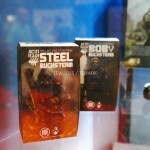 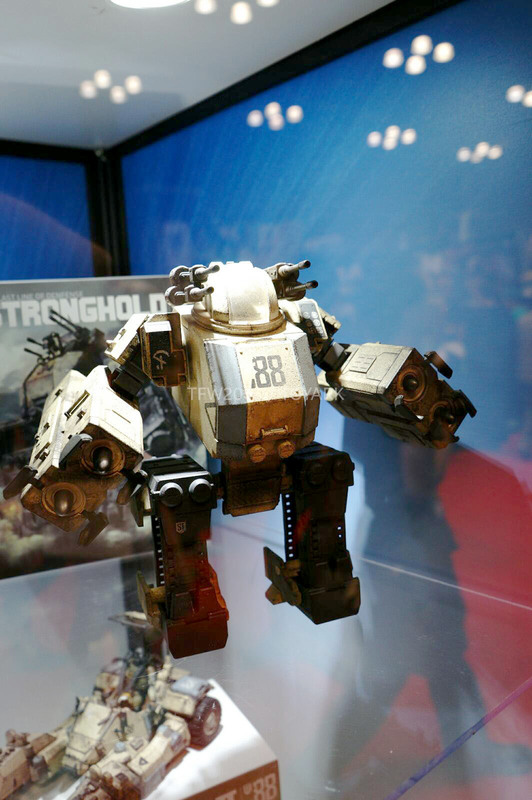 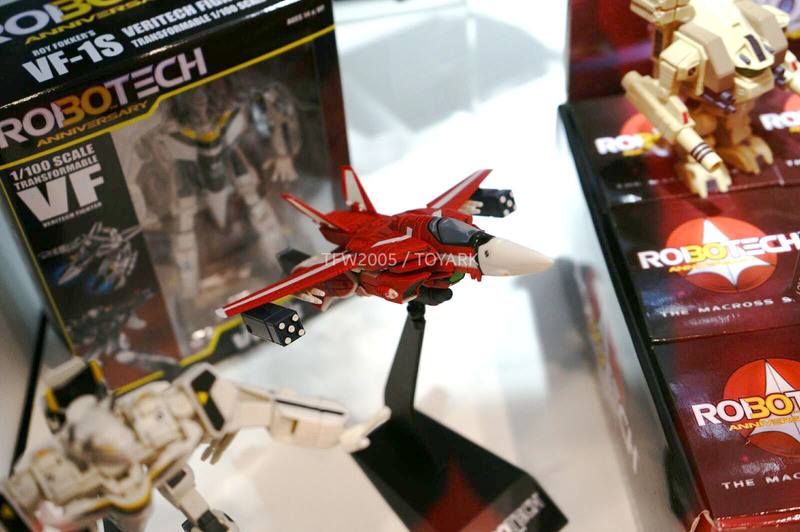 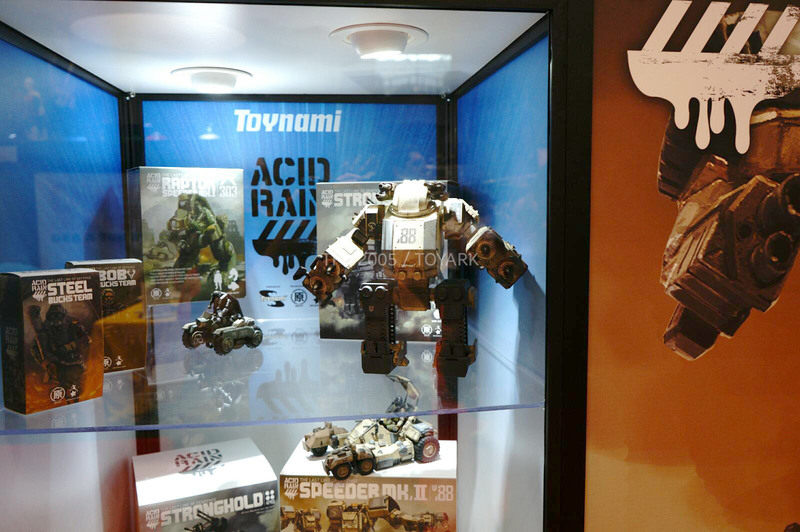 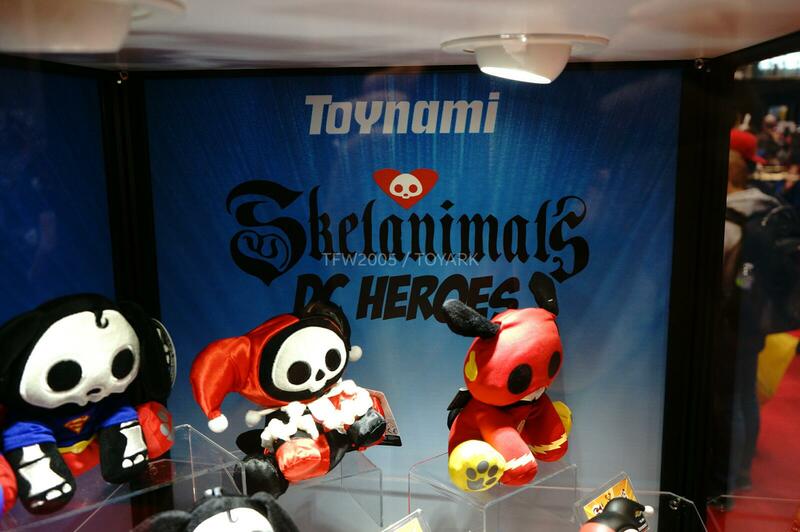 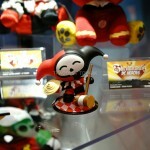 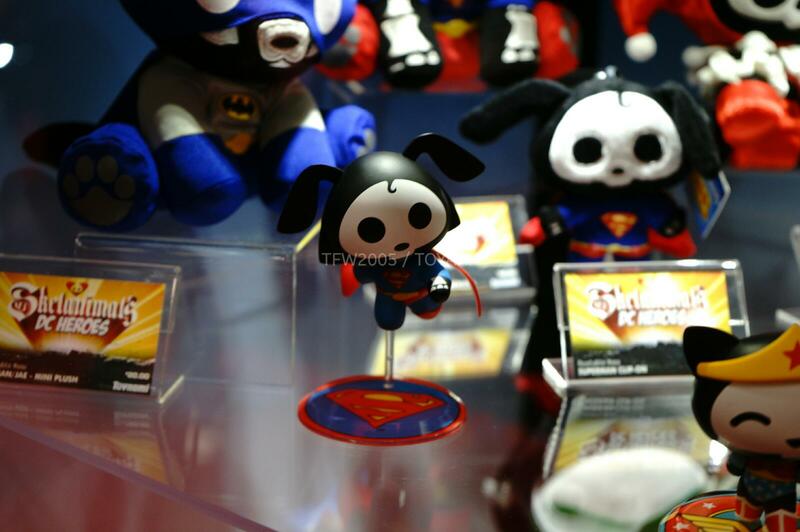 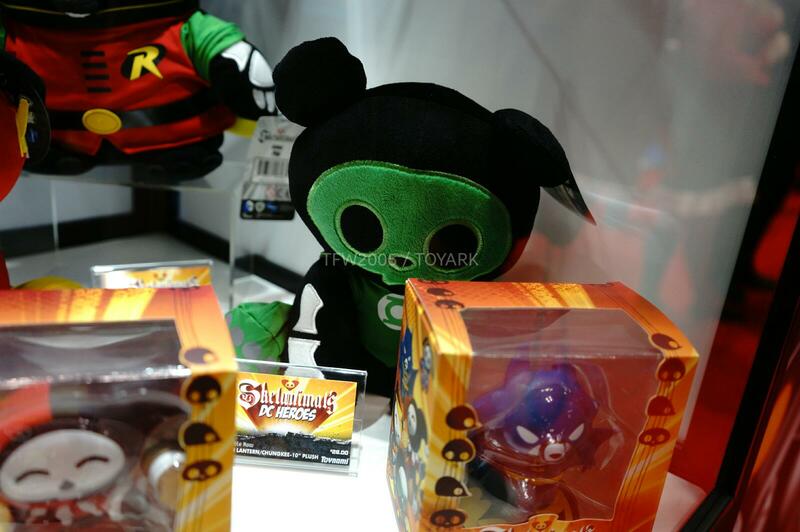 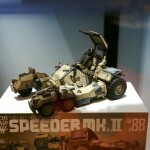 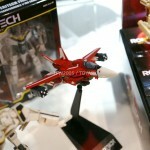 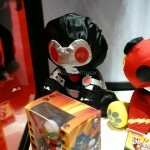 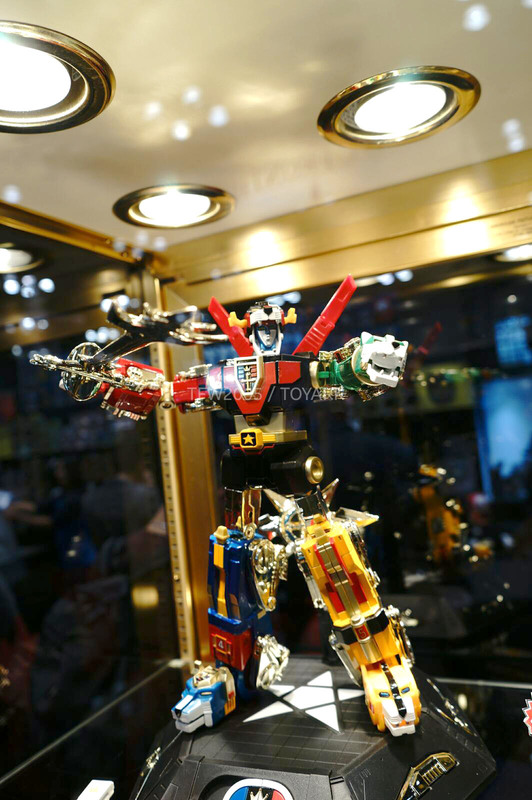 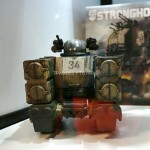 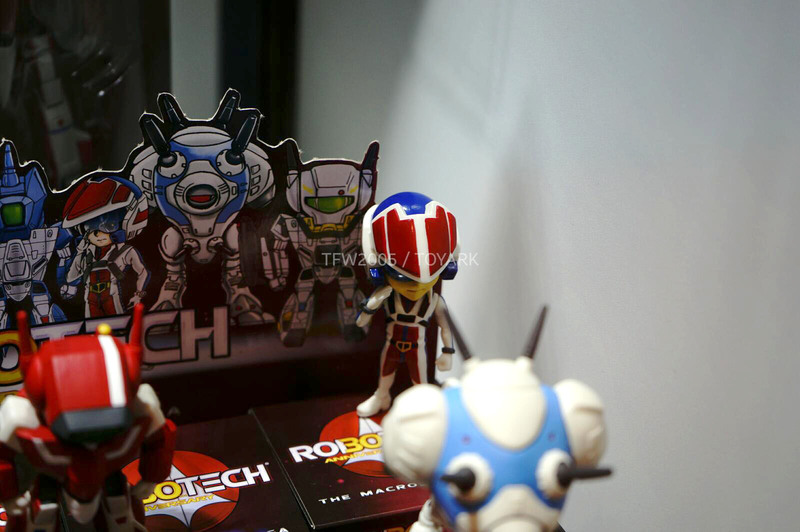 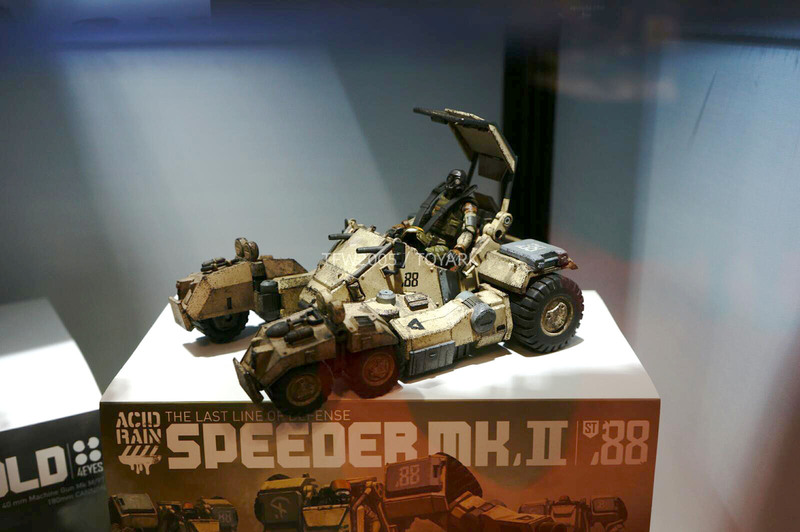 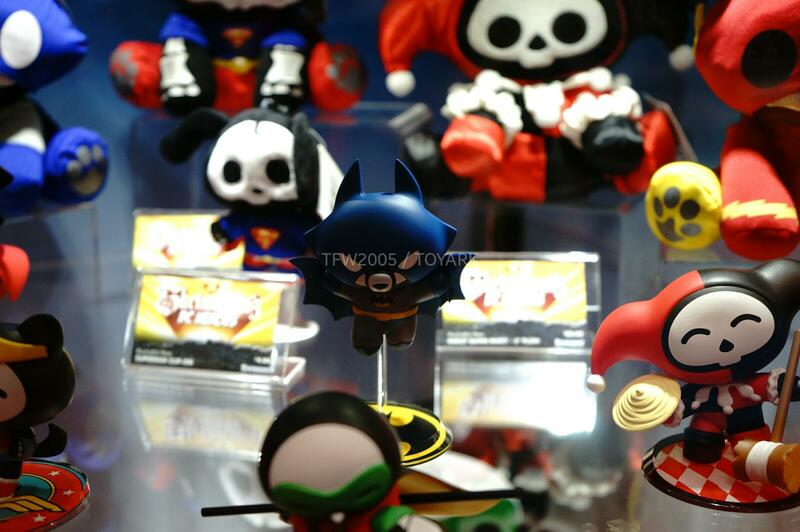 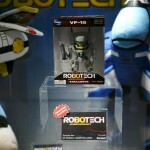 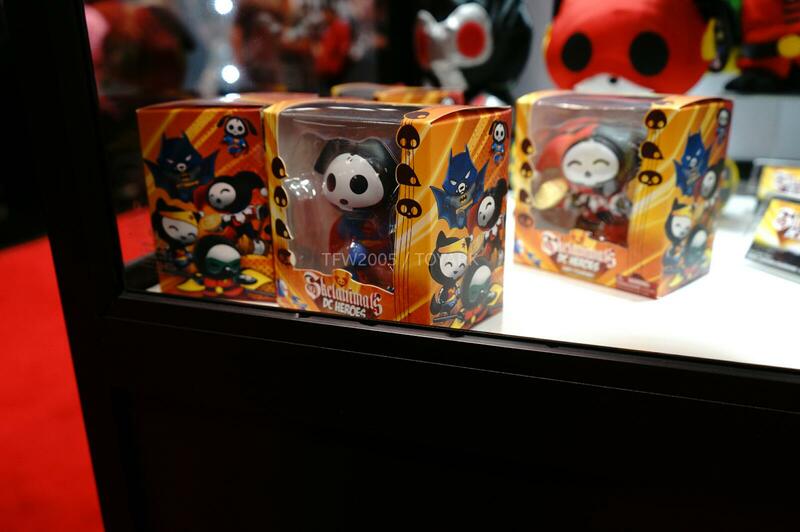 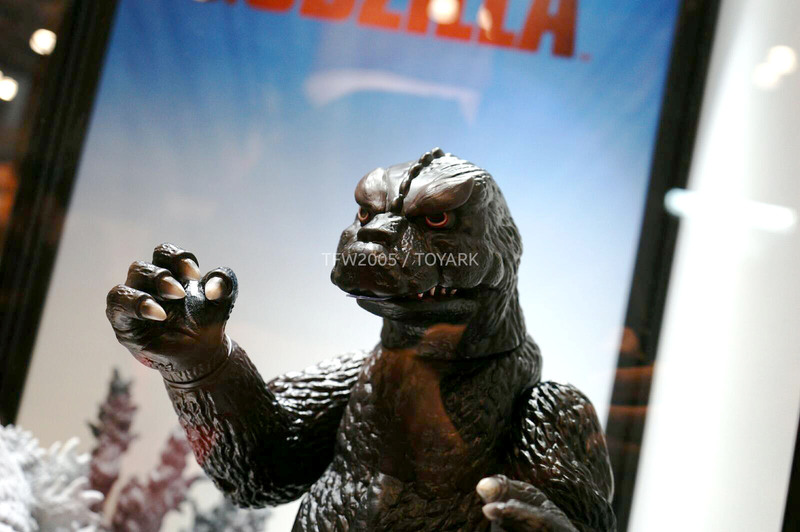 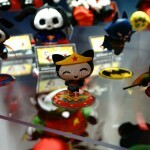 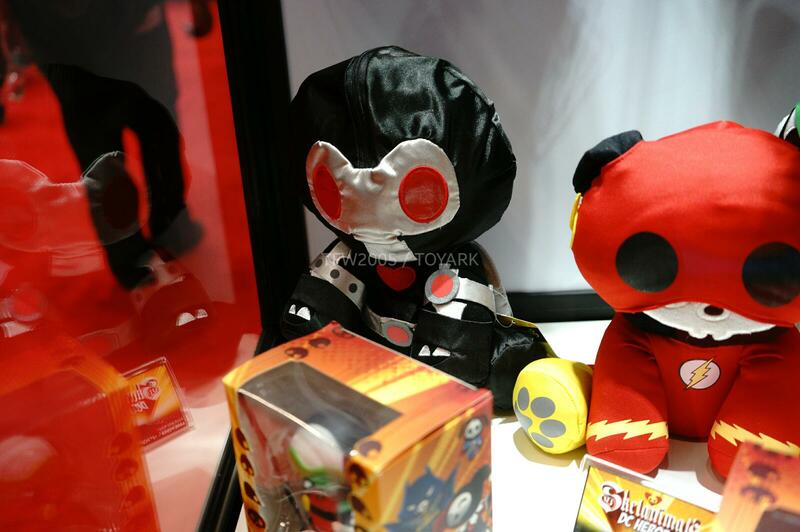 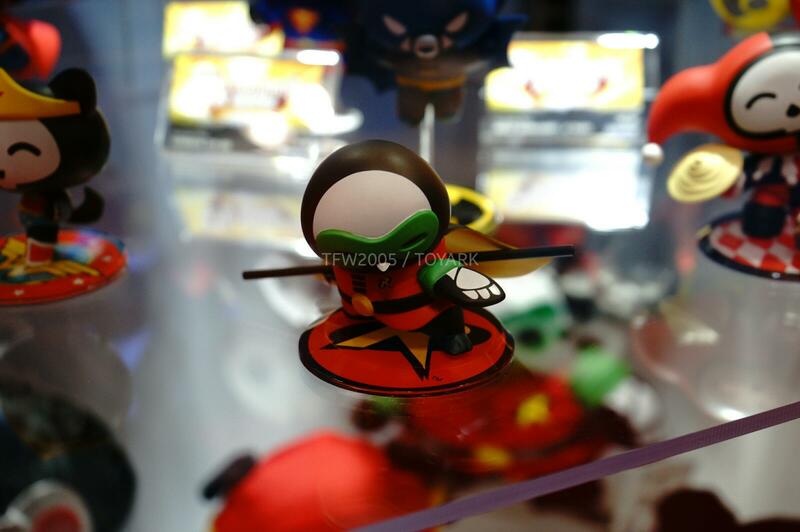 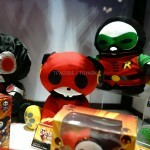 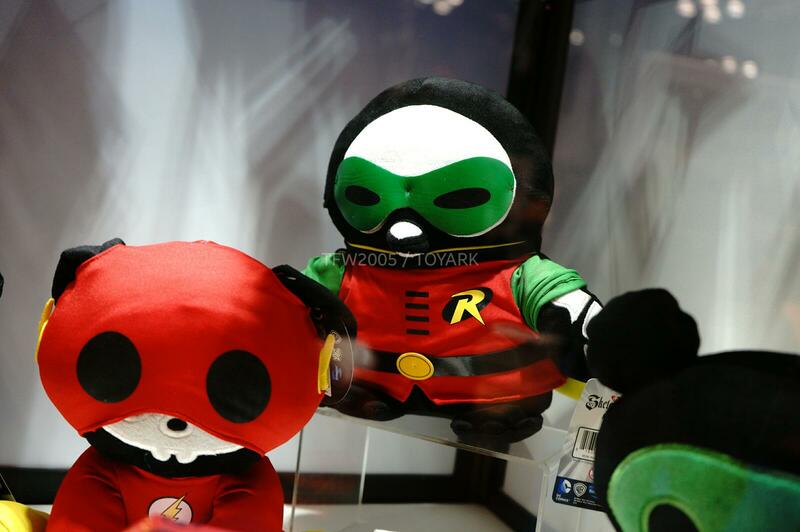 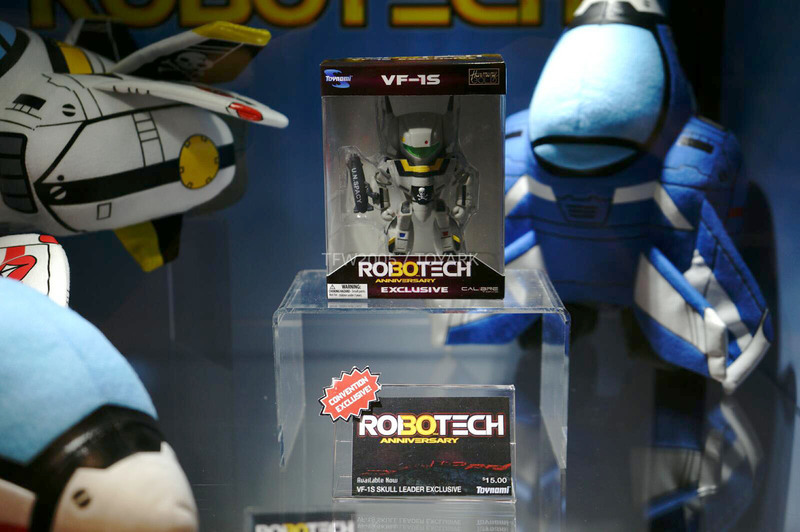 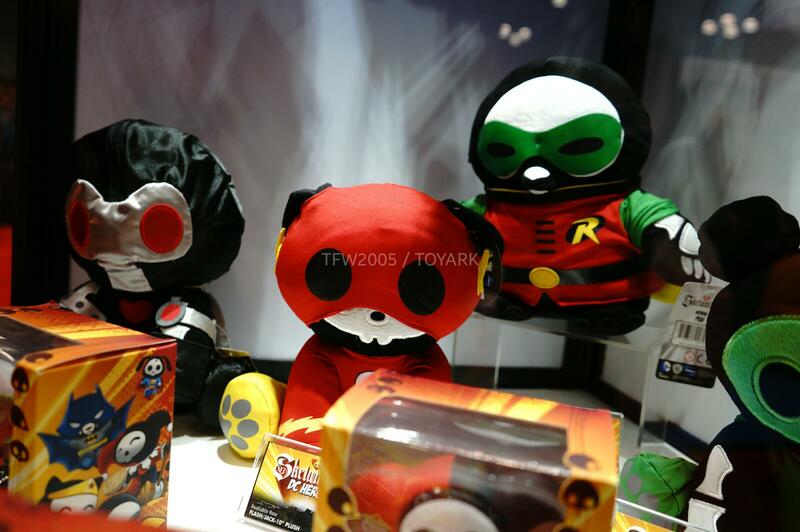 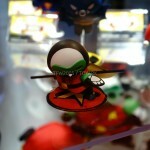 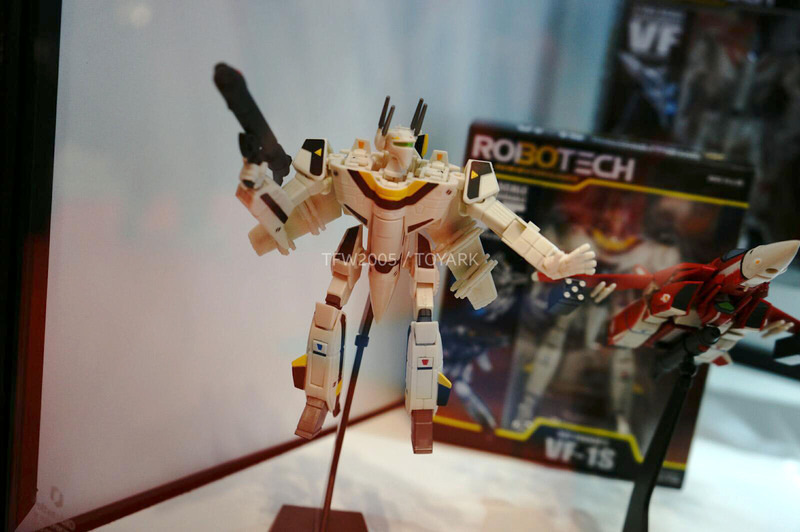 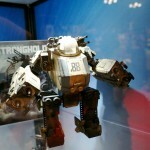 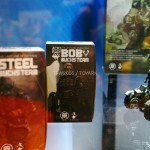 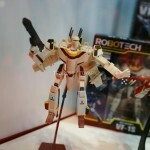 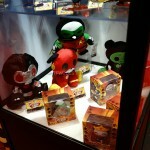 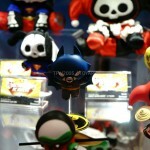 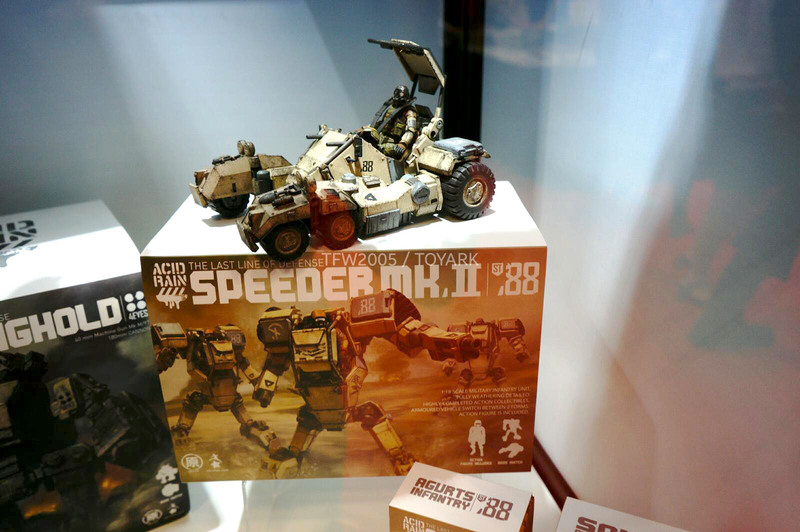 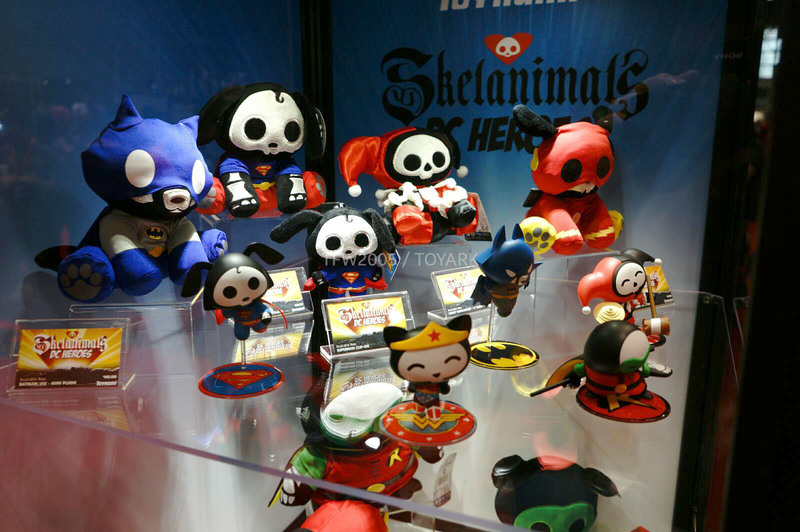 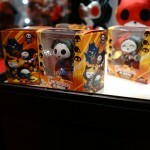 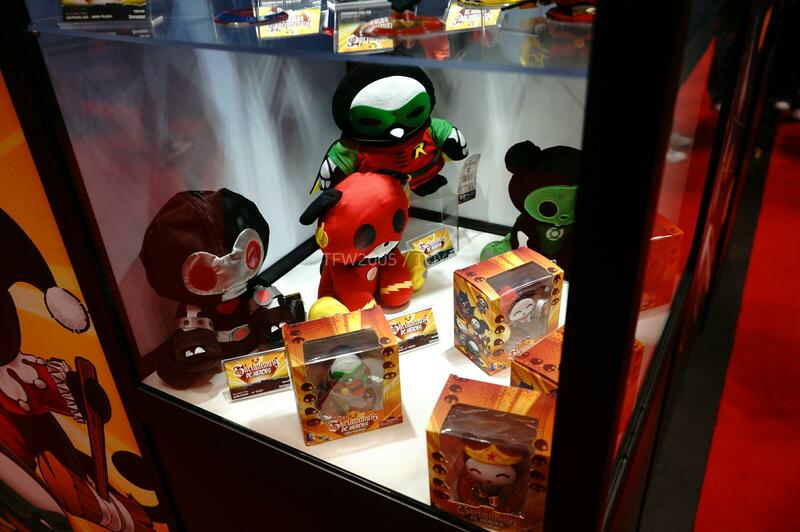 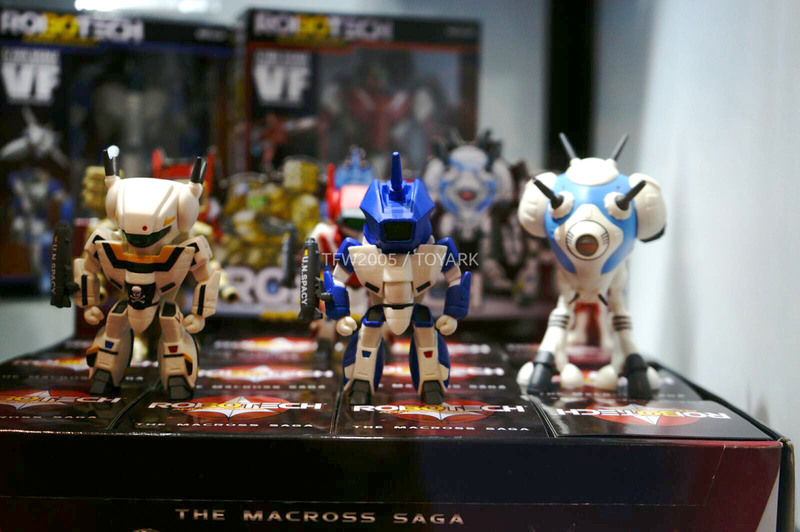 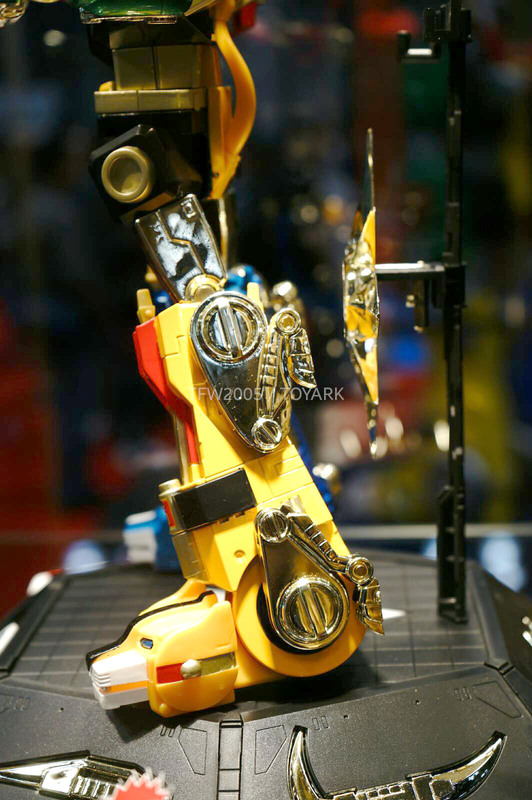 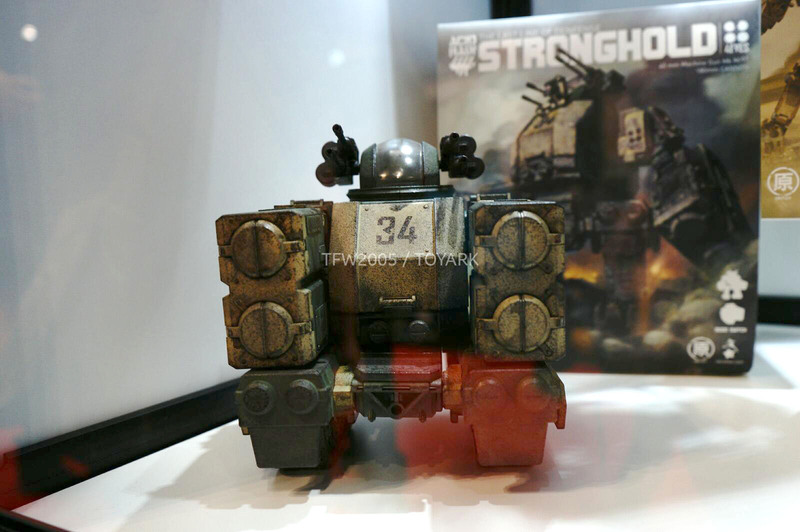 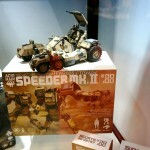 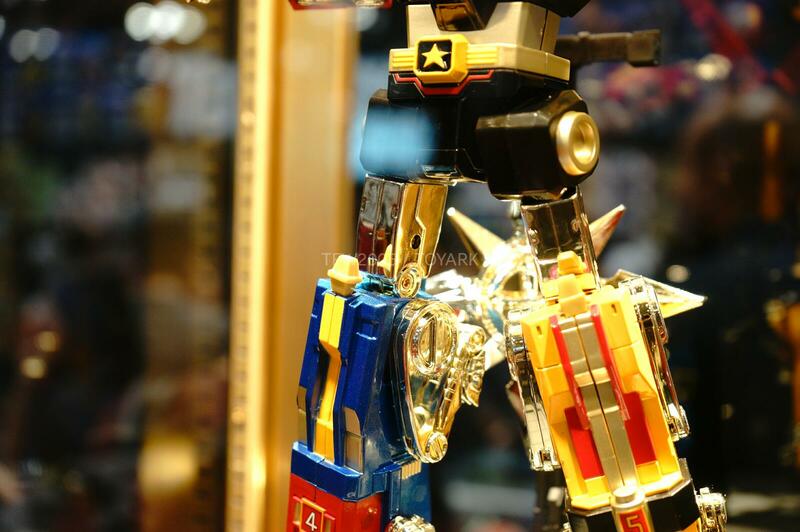 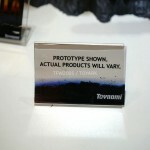 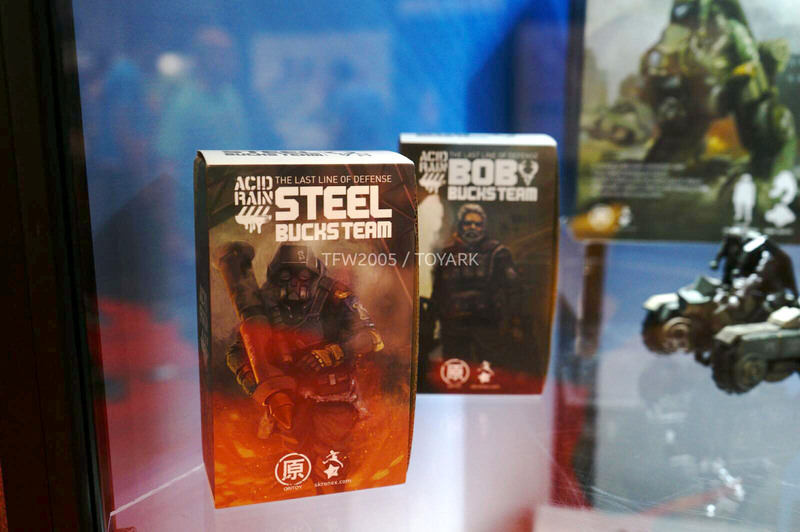 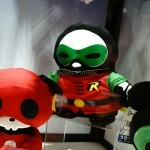 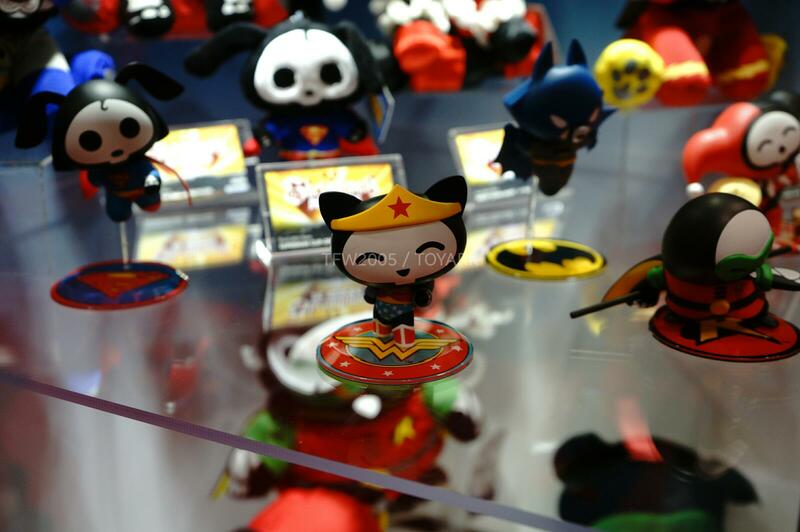 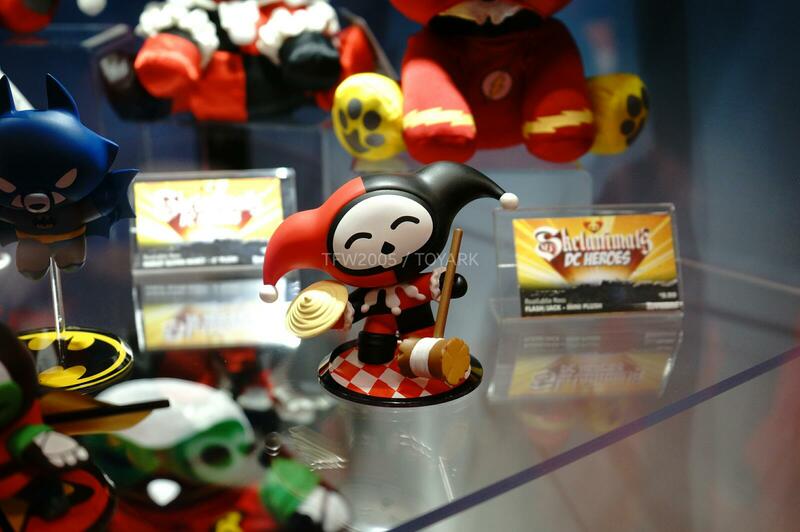 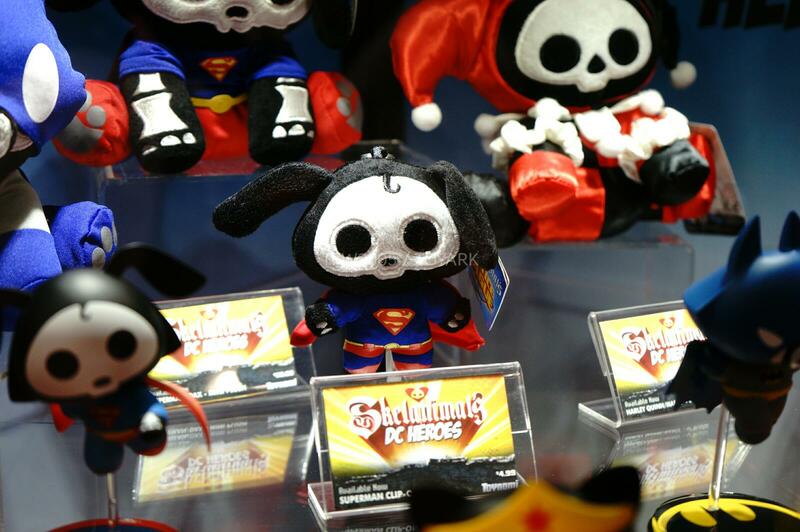 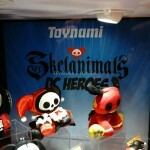 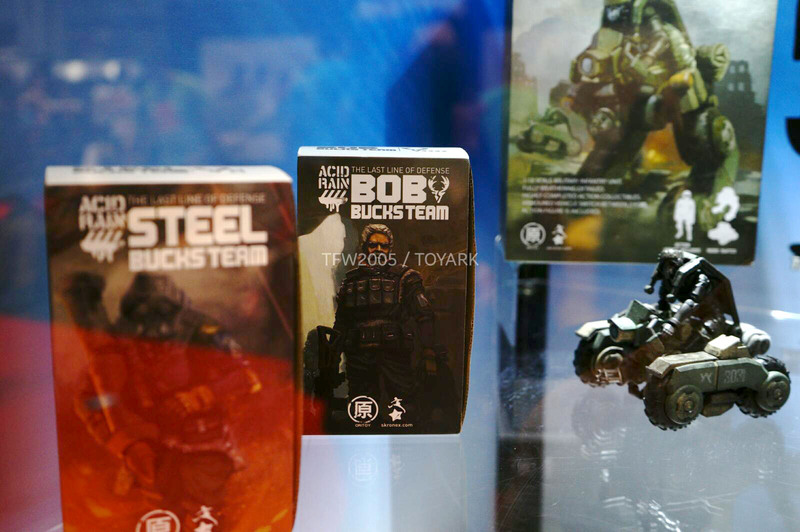 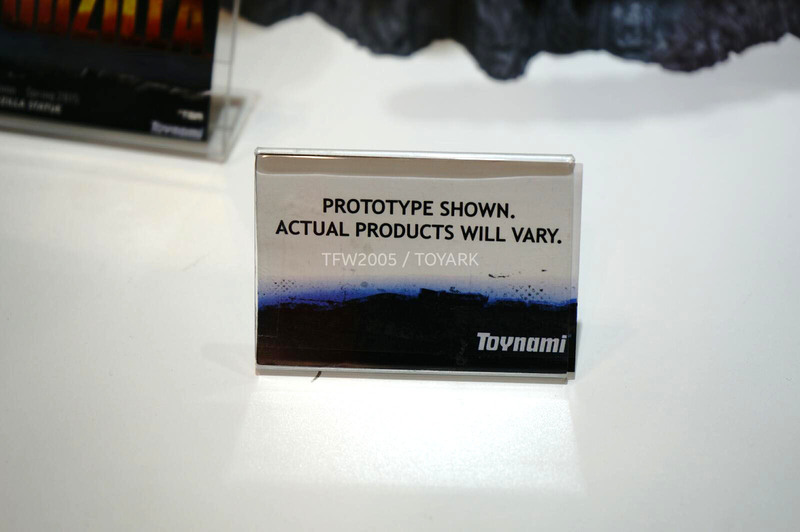 The Toynami Booth had a mix of different items on display at New York Comic-Con 2014. 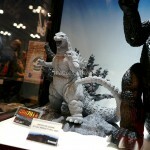 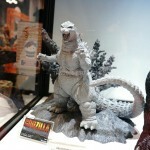 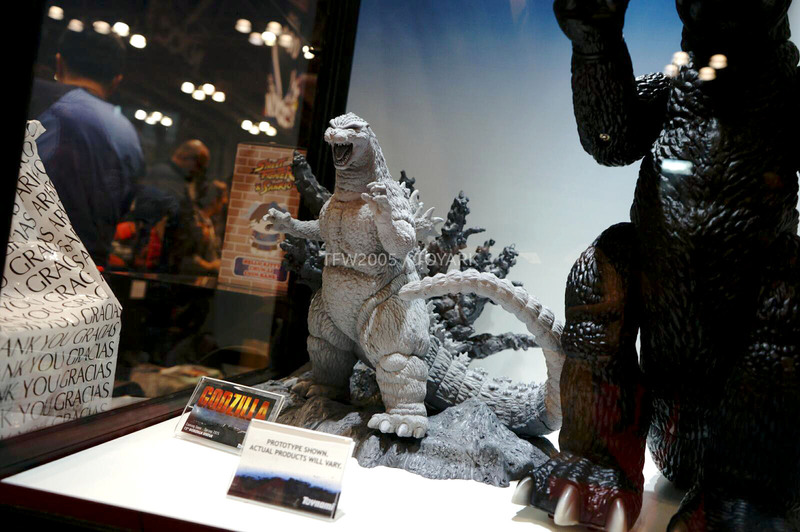 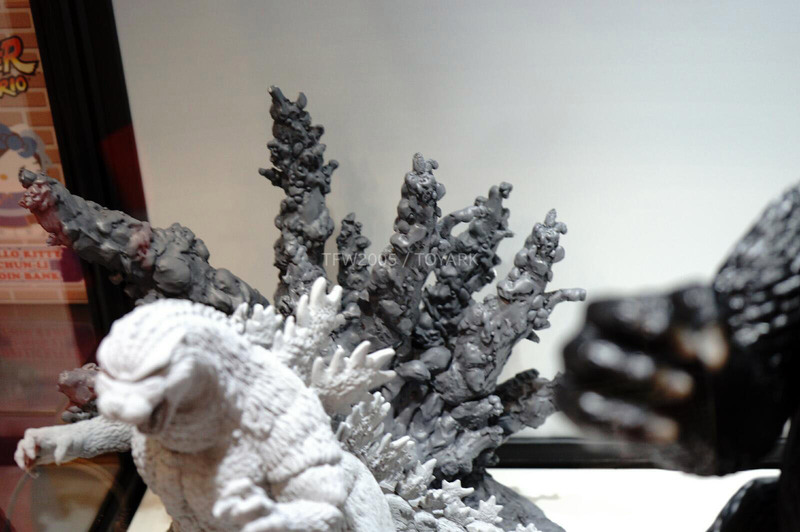 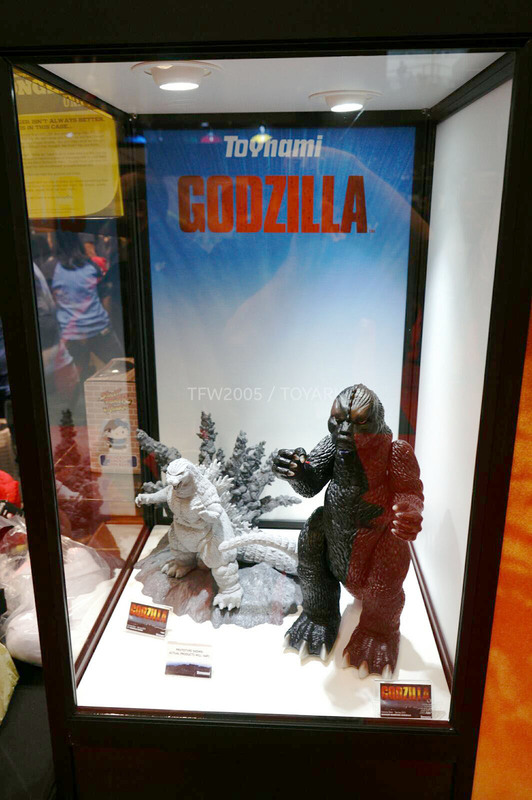 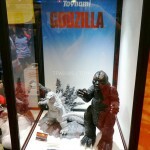 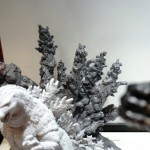 They showcased an awesome looking new Godzilla statue alongside their Shogun Godzilla. 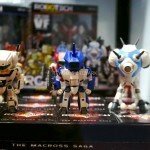 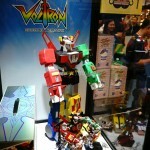 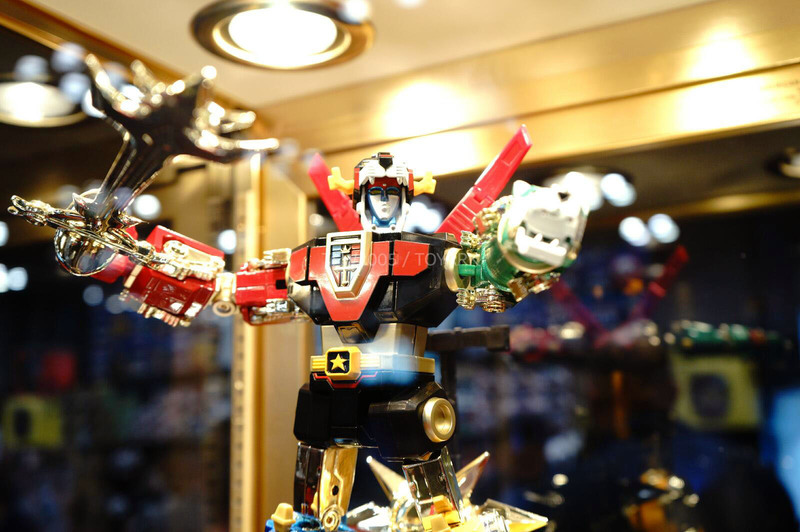 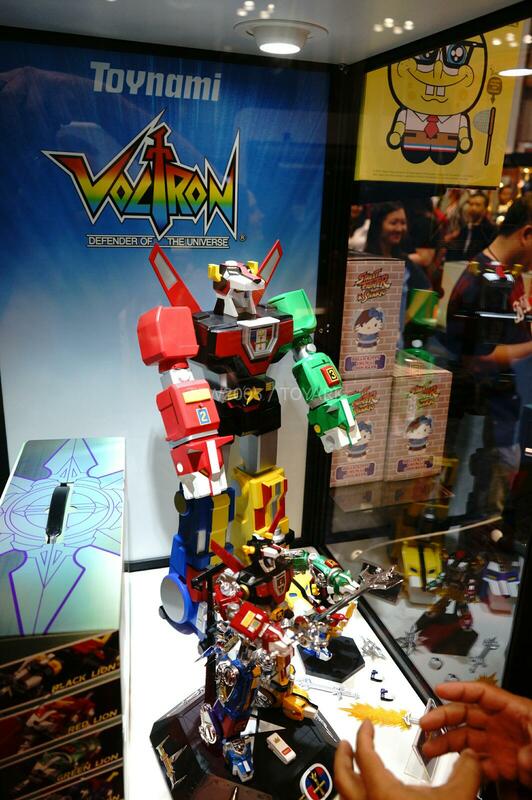 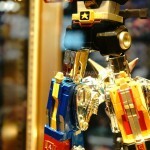 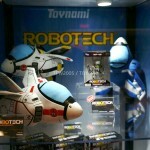 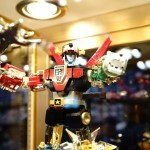 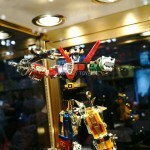 Toynami had their Voltron figures on display, including the Jumbo Voltron. 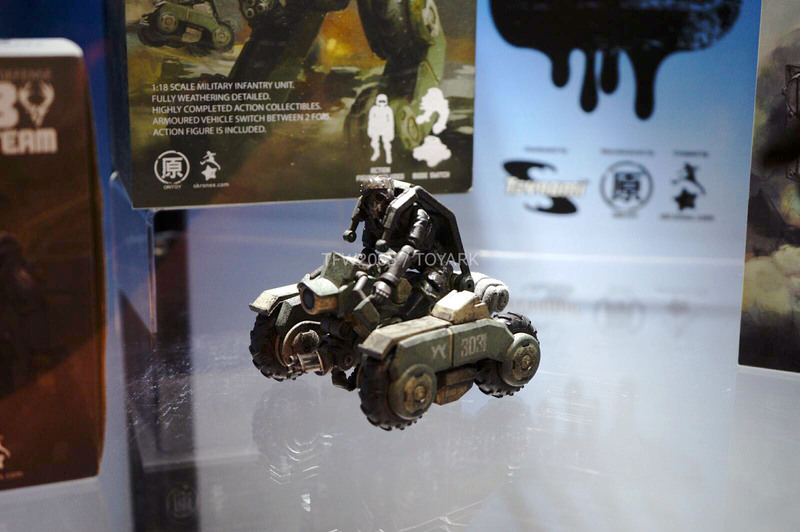 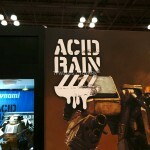 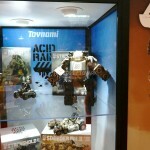 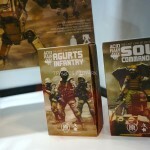 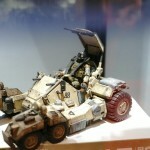 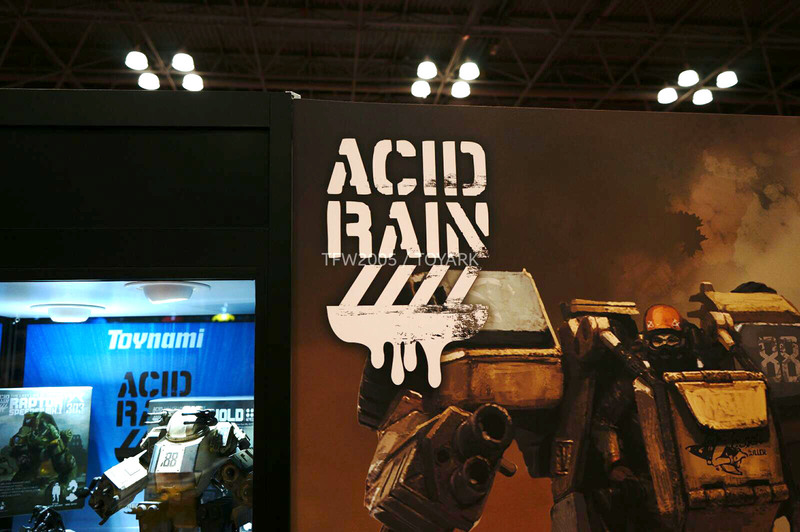 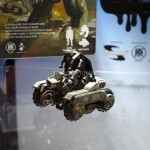 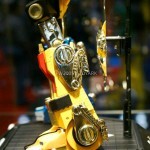 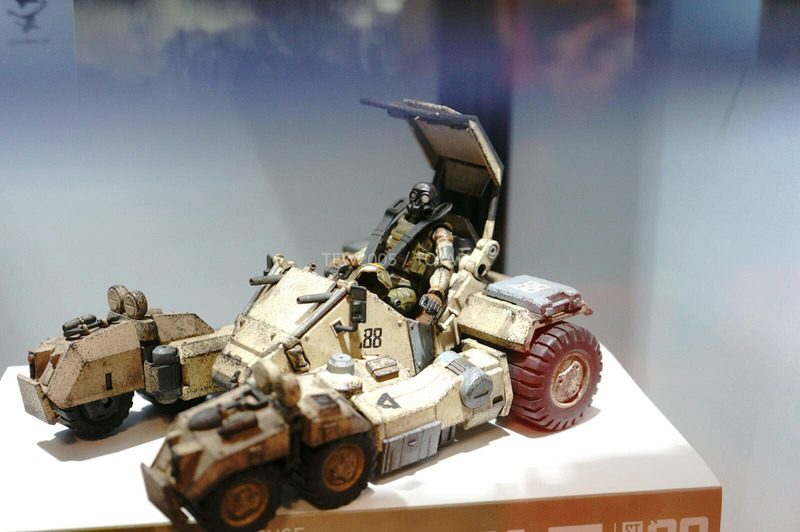 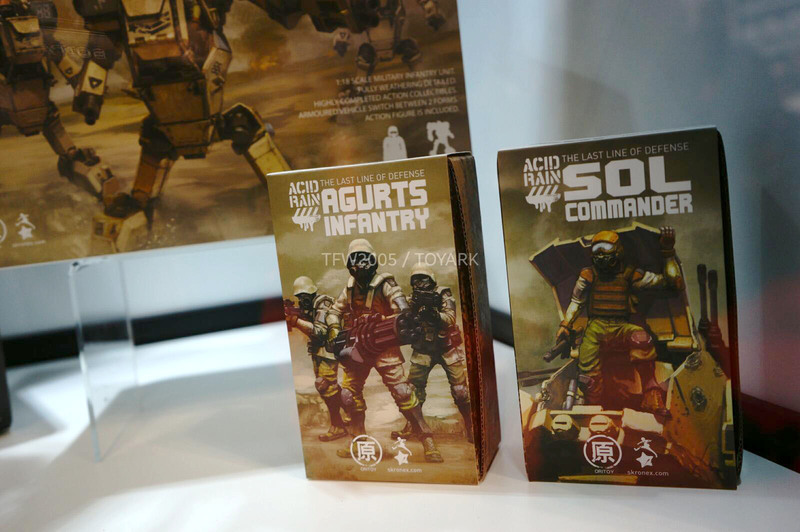 Also on display were the always impressive Acid Rain figures and vehicles by Oritoy. 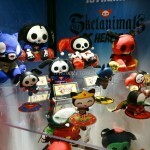 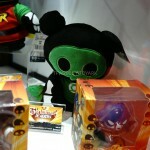 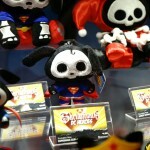 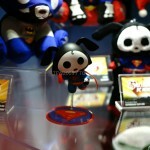 Other items included their assorted DC Comics themed Skelanimls, which come in plush and vinyl figures, and their Robotech figures and collectibles. 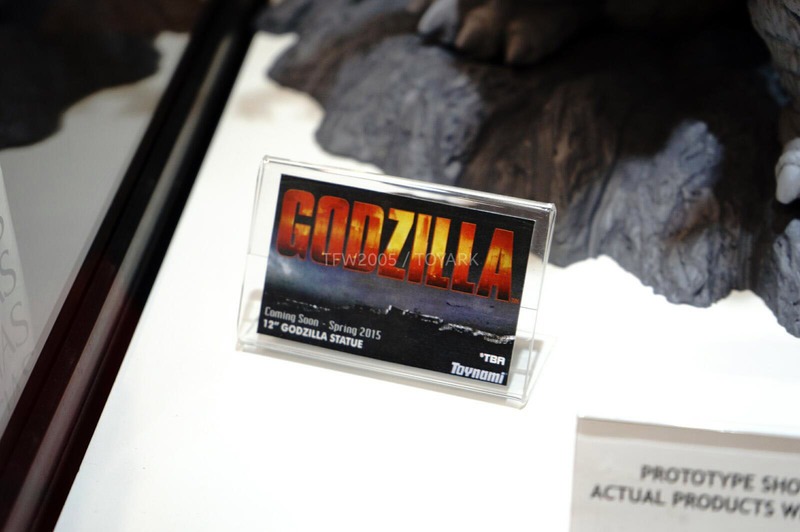 What a waste of a license. 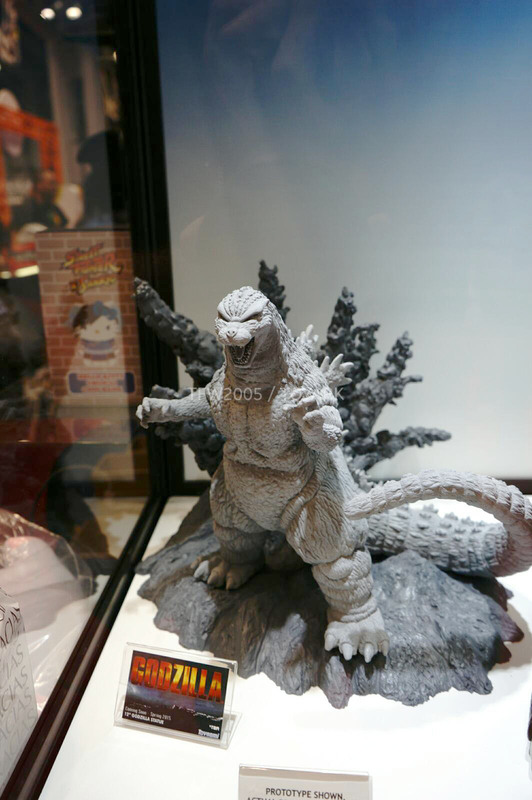 Still all they are doing is pushing repainted Lion Voltrons instead of doing anything else like the villains to go with Mattel's pilots, or even brand new 6inch scaled figures and what the hell is up with one of those Godzillas? 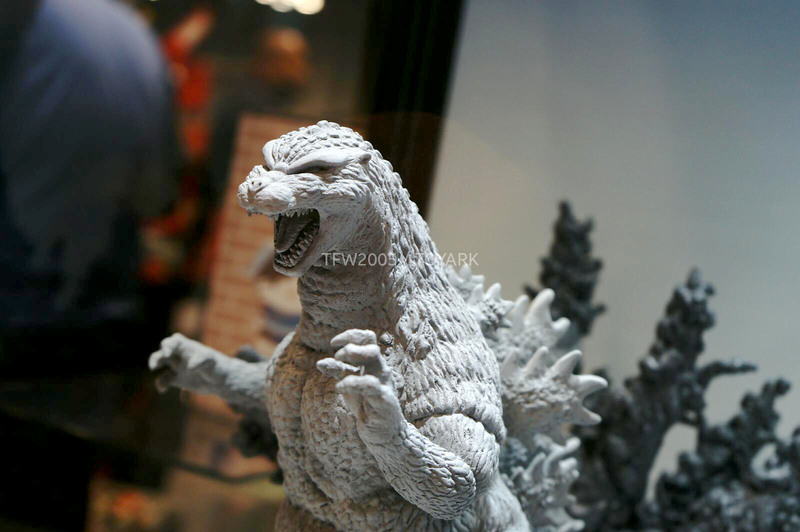 It barely even looks like Godzilla. 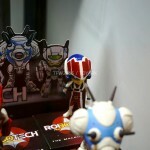 That attach pod so cute. 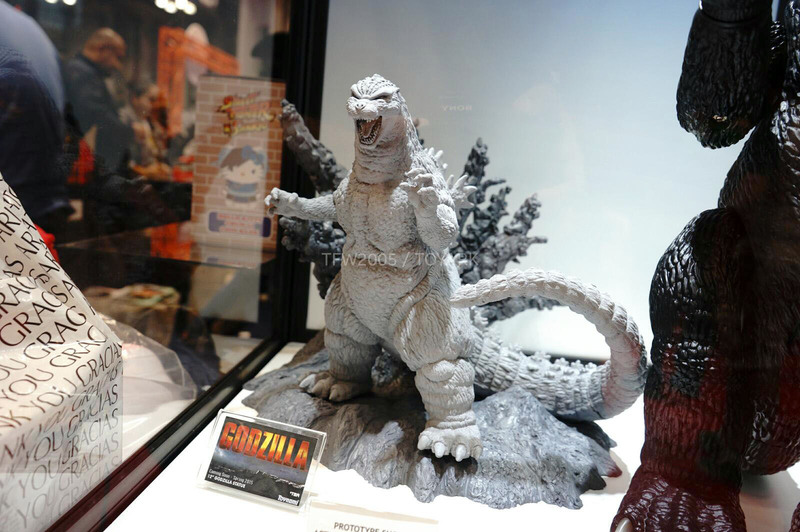 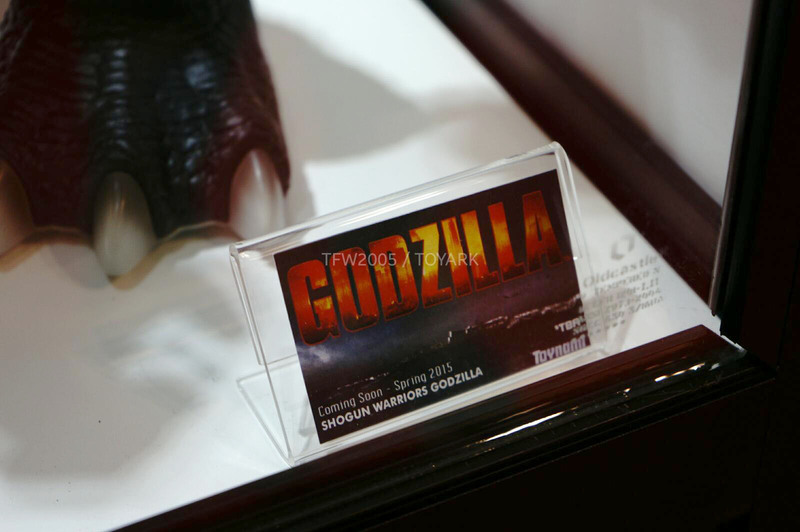 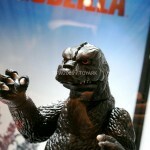 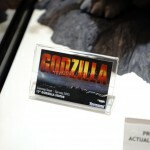 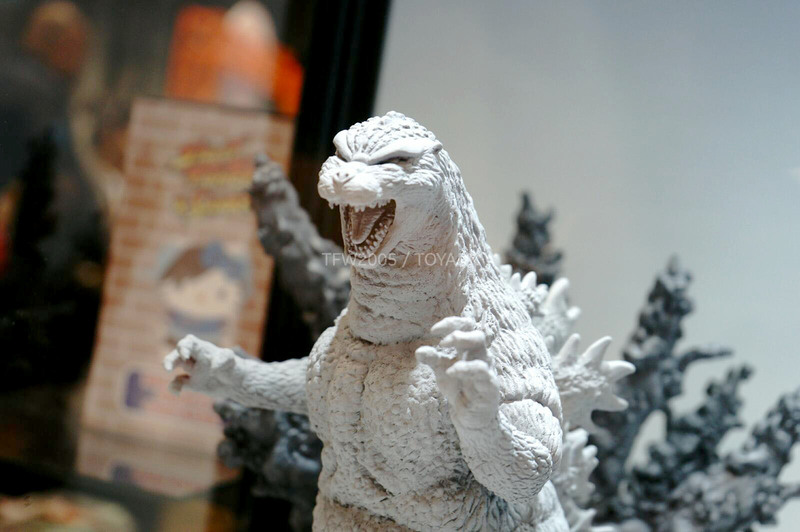 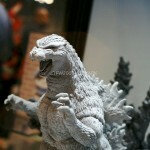 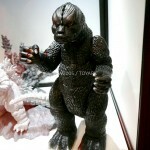 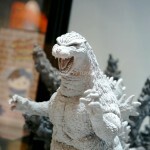 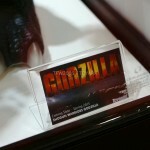 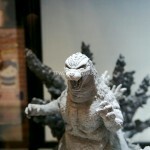 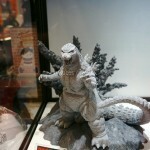 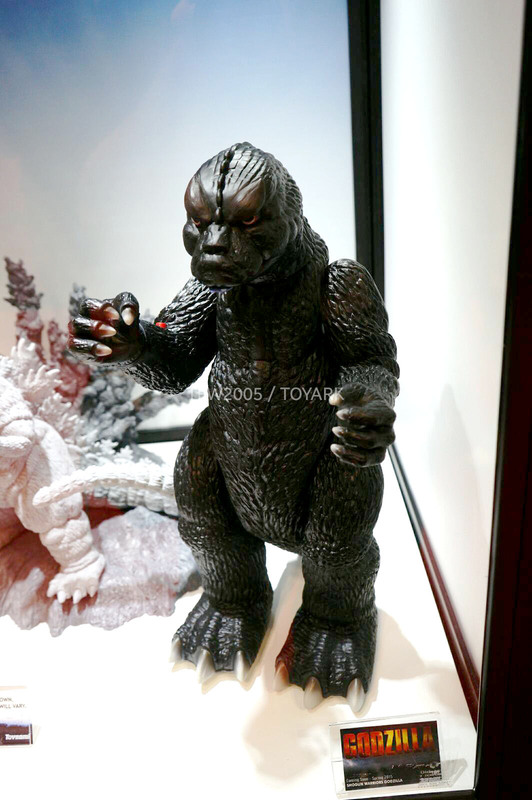 The Godzilla sculpt does look kind of goofy, but maybe it's because they mean to target a younger market. 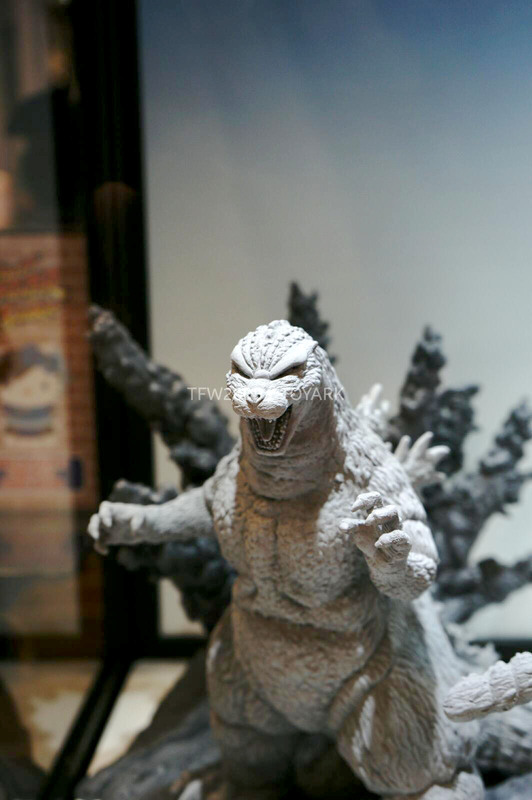 The nose on the unpainted prototype reminds me of my cat!